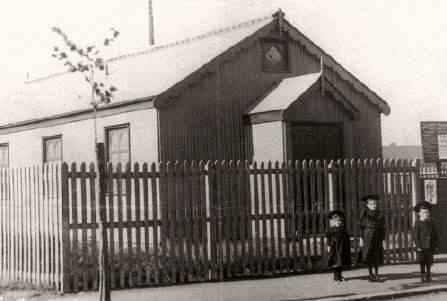 This is the original Tilbury Band Hall, 99-101 Dock Road, purchased from the Salvation Army in the late 1940s. 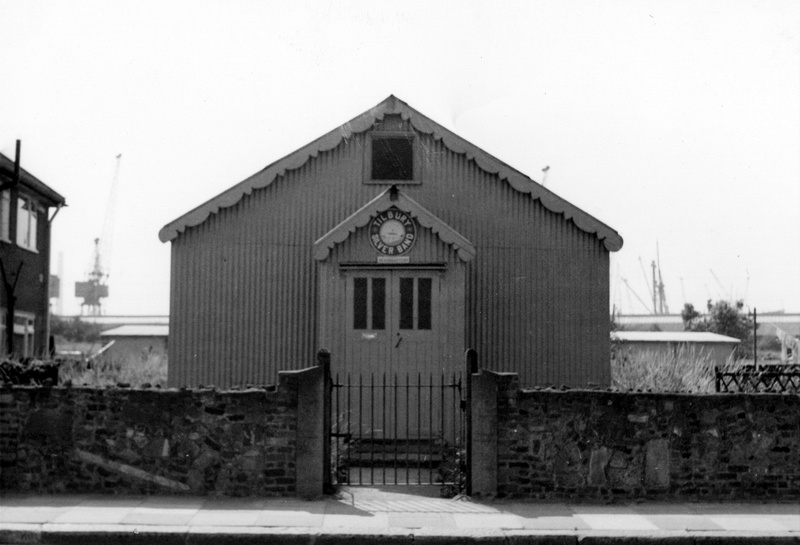 This building was demolished in the 1970s to enable the building of a new, larger hall on the same site which is still in use by the Band today. I remember this hall well. As a young army bandsman, I used to play cornet here with the Tilbury band when home on leave in the mid 60s. Some of the key people back then were Jack Russell and the Crosby brothers. Tilbury Band certainly featured in the community and my early memories from 50s are of the band meeting returning coaches at Feenan Highway. In those days the local working mens’ clubs ran outings for children to Maldon and Walton on the Naze. Tilbury Band would meet the coaches and we would process in them back to the club in style. A great finish to the day!